WPC has formed a new partnership with Hezekiah's Hands to focus in the Wyalusing area. Led by our Missions leader Mike Jensen, the team will be doing projects in the Wyalusing area for those in need. If you need assistance with basic clean-up projects and minor home repairs to painting, carpentry and light construction, please call 746-3333 or email wpcnews@ptd.net for further information. Hezekiah's Hands is a local mission of area churches and is named for the King Hezekiah (2 Chronicles 29:1-32:33) . Hezekiah in modern times would have been a great building contractor. During Hezekiah's reign, he refurbished the temple to bring God's chosen people back to God. He tore down any pagan symbols so people would only worship God. Later, Hezekiah devised a system that brought water from outside of Jerusalem into the city. In this vein, Hezekiah's Hands is a Christian-based, volunteer home repair organization. Hezekiah's Hands is organized by the First Presbyterian Church of Towanda, and there are several churches of various denominations throughout Bradford County involved. The Wyalusing Presbyterian Church is proudly one of them. This mission serves all of Bradford County. 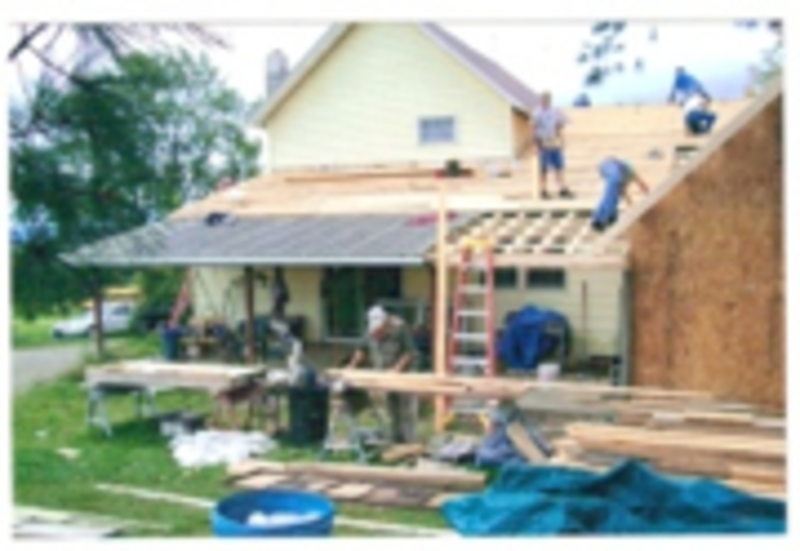 Hezekiah's Hands utilizes volunteers of all skill levels--from the most basic clean-up projects and minor home repairs to painting, carpentry and light construction--to help people throughout the county who could not otherwise afford to make such repairs. Also, throughout the year, volunteers organize fund raisers to help purchase building materials needed for mission projects. The mission not only improves the homes and living conditions of Bradford County residents, but also enables the church to build relationships with them so that volunteers might have a chance to share the reason they are doing what they are doing: the love of Jesus Christ. Many roofs have been repaired, many walls painted (inside and out), many ramps have been built for improved accessibility, and many lives have been touched through Hezekiah's Hands. A Bible is always given at the end of the project. This very rewarding mission helps needy individuals throughout Bradford County,by improving their living conditions and building connections between residents and the church. Applications are processed through the Area Agency on Aging.